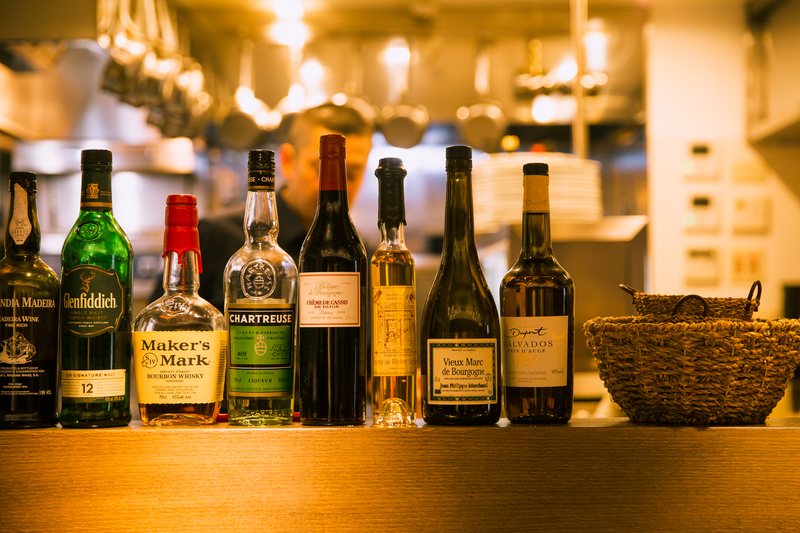 The recently opened Les deux is located five minutes from Nakameguro station, where a popular restaurant called Au Coin du Feu was once active. Les deux feels upscale and classy, and there’s an air of exclusivity to the design and the interior, but the truth is it’s a restaurant for relaxed, casual dining. A direct translation of the French words Les and Deux is “The Two,” and it’s safe to assume this refers to Chef Jun Yamaguchi and his friendly wife Sachiko. 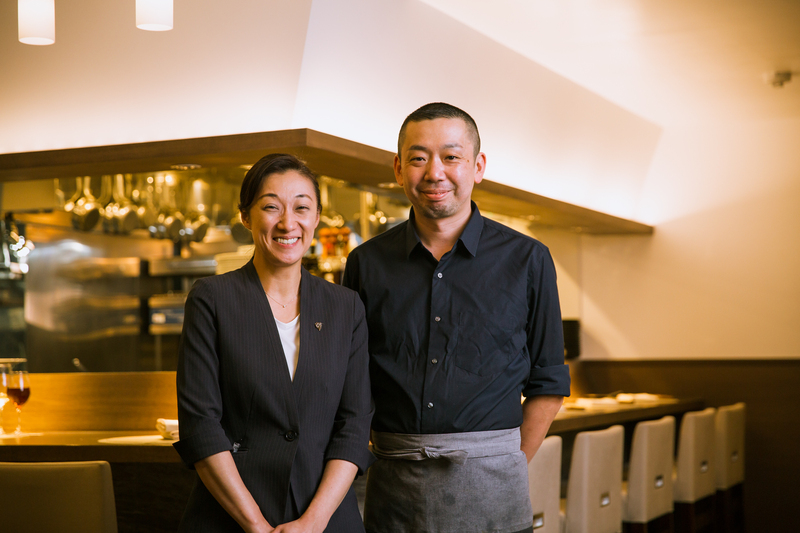 At Les deux, diners are encouraged to talk with Sachiko about dish and wine recommendations, and then watch Chef Yamaguchi prepare his cuisine at seats located along the kitchen counter. Sachiko says, “We wanted to do everything by ourselves without hiring additional staff, so we can control both the food and service quality.” And so, the Yamaguchis closed Au Coin du Feu, and opened Les deux in its place, giving it a new exterior and interior to express their change in approach. At Les deux, Chef Yamaguchi works from the open kitchen, where he overlooks the entire dining space. At the same time, Mrs. Yamaguchi keeps a watchful eye on the proceedings, ensuring her husband is always giving his best. At Les deux, Yamaguchi says, “I don’t wanna make small dishes with tiny details I have to work on with tweezers.” His customers, too, appreciate his approach, with many impressed by the generous portions in each dish. This is just one of the reasons many come back with friends, and it’s proof Yamaguchi is again on the right track. And while the direct translation of Les deux is “The Two”, it also means “both,” which is an important detail to the Yamaguchis, who believe it’s both the people working at the restaurant, and the people dining there, that make the experience of a good restaurant. 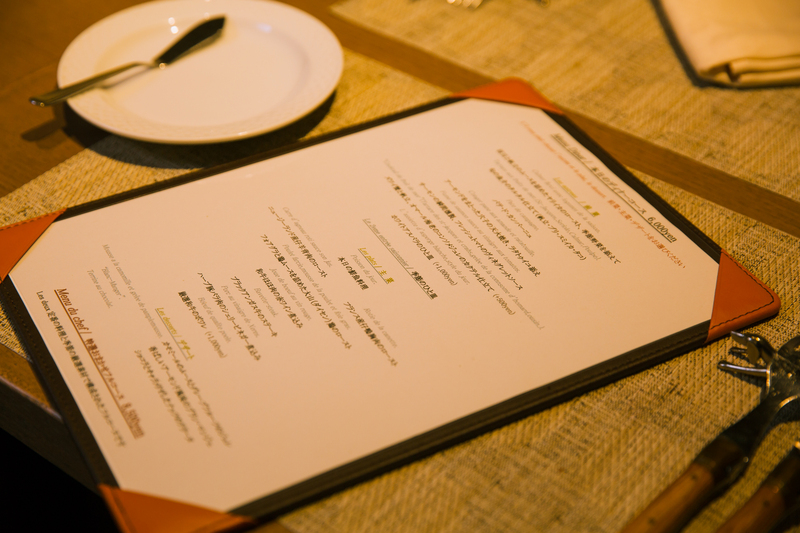 You can also enjoy dinner a la carte instead of the two set menus above. The a la carte menu features more than ten appetizers priced from 1,800 yen, and approximately ten main dishes from 2,8000 yen. Four desserts are available daily, and are priced around 800 yen. As the appetizers and main dishes are substantial in size, many regulars share them between their group. 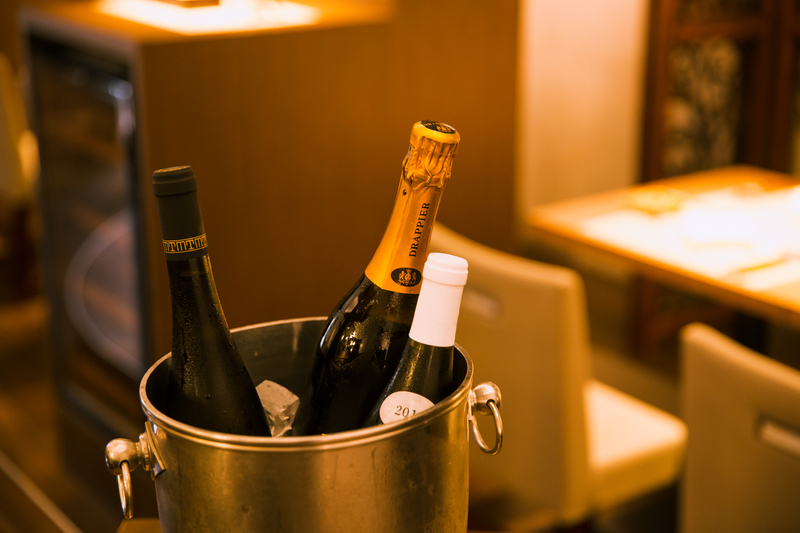 Wines on the list are all French and selected by Mrs. Yamaguchi, a certified sommelier. Sachiko selects wines while considering the dishes her husband cooks, and their seasonal ingredients. She tends to select wines from Provence and southern France during summer, and those from Burgundy and Loire during winter. The wines listed are priced from less than 6,000 yen and go up to 15,000 yen. Les Deux also has special bottles unlisted. Three Champagnes priced from 7,500 to 15,000 yen are on the list, along with three sparkling wines like Crémant priced from less than 6,000 yen. By the glass, Les Deux daily has three red wines, three white wines, and one rosé wine generously poured, priced from 1,100 yen. Champagne by the glass is 1,500 yen.